With the global footprint of Salesforce Marketing Cloud and Social.com, sought to provide a benchmarking report for broad trends in the social advertising industry. Spending advertising money without first looking at overarching data is akin to wasting money, particularly in an industry rich with statistics to help guide you. These benchmarks provide a baseline for you to measure your own performance and costs against the performance and costs of others in your country, region and industry. With this knowledge, you can begin to understand where to focus your optimization efforts within a particular market, and ultimately receive more return for your advertising dollar. As social media advertising continues to gain momentum, and marketers devote more of their budgets to it, the need for market research has become more important. Using Social.com data, Salesforce Marketing Cloud decided to benchmark performance and cost metrics for social advertising, focusing on Facebook advertising, to provide a baseline for key metrics by creative type, industry, and geography. 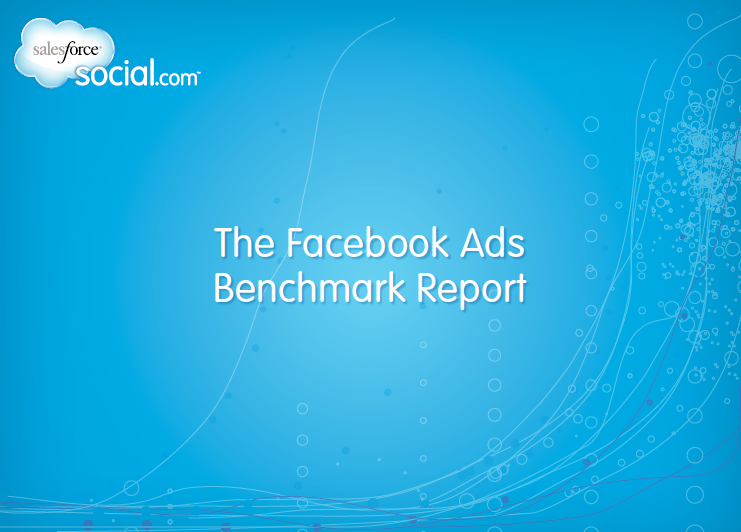 Download "The Facebook Ads Benchmark Report"